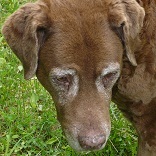 browndog, are those molasses sugar cookies crisp or soft? I know I'd love them. 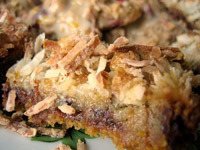 Any chance you have a recipe for a crisp ginger snap? 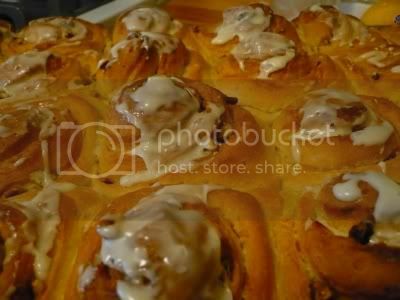 The orange sticky buns look so good too. Are you having a lot of people for the holidays? This year only our nearby daughter and family and our Minnesota daughter and her partner are coming home for Christmas. She doesn't eat sugar and I'd love to make a cookie for her. She does eat honey. Anyone know if I can make oatmeal cookies with honey instead of sugar. I'm going to try. 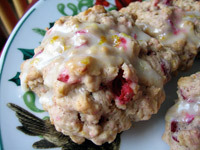 I'm thinking of making Floyd's Cranberry Orange oatmeal drops with honey. No sugar frosting though. I have lots of dried cherries I might use instead of cranberries. You probably could make them with honey. I don't see why not. The glaze is overkill, IMHO. I made them that way because that was what the cookbook suggested, but I don't think you will be missing much without it. BTW, My favorite sugar free cookies are these vegan hippy cookies. We eat plenty of sugar and have no issues with chocolate or dairy, but I bake them anyway because they are so good (and are actually better with carob chips than chocolate chips). Give them a try some time! We are having the family who shares our little hill over for Christmas dinner--something we've been doing for close to ten years now, almost since they moved in (they bought what used to be my parents' house.) The sticky buns were to throw at a triad of teenage boys here over the weekend, to keep them somewhat tame. I'm sure you can make oatmeal cookies with honey, that's what being hippies was all about, remember? If you like I can troll my recipes. The molasses cookies are a wonderful texture--crisp like a crisp sugar cookie, not so much crackle as a traditional gingersnap. 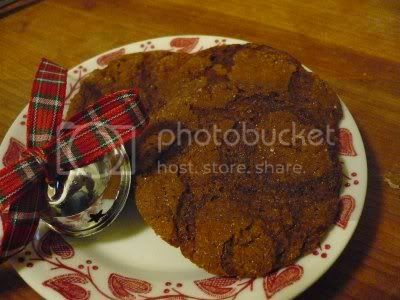 I owe you, so I will post that recipe, as well as one for a crisp gingersnap from KA's 200th Anniversary cookbook. 1. Sift flour, soda, spices & salt. 2. Beat butter and sugar til just combined. Add molasses, then egg. 3. Add flour mixture and mix til thoroughly combined. 4. Gather into a ball, wrap and chill for 30 minutes. 5. Shape pieces of dough into 1" balls. 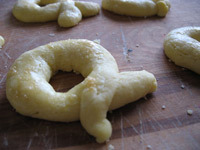 Roll in sugar and place on parchment-lined baking sheets about 2"apart. 6. Bake 8-10 minutes at 375* til set. Let them rest on the sheet for a few minutes. Cool on racks. Roll nickel-size pieces of dough into balls, then into granulated sugar, and place them on lightly greased cookie sheets, nonstick if you have them, allowing room for spreading. Bake 10-12 minutes. Hippy Cookies, I love it. Those look perfect. I haven't bought carob for so long..sigh. And thanks browndog, both recipes are also perfect. I do remember honey in everything and it did work fine. I seldom use it in place of sugar, I don't know why. I so want to see that. Don't forget the fringed leather purse and the beads. You make me eager for grandkids, but don't tell my 16-year-old that. I'm not a big sweets baker but after my daughter prodded me into making a couple batches of fudge and then divinity I thought I would give Floyds cran/orange cookies and the coconut squares a try. Both turned out great, especially the cranberry orange cookies. My 15 year old daughter is showing signs of being interested in knowing the secrets of success in this area so it's fun to joint produce these things. Well back to it, apple pie next.